Manufacturer & Exporter of Guide Bushes & Valve Guide Bushes. Our product range also comprises of Valve Trims, Valve Disc and Stellited Components. In order to meet diverse requirement of the clients, we offer application specific array of Guide Bush that is delivered in varied dimensions and ensures high strength. Offered product range is durable and ensures wide industrial applications. Guide Bush is sturdy in construction and can be easily installed in the required machinery. 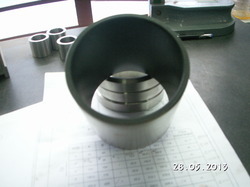 Diameter Range: 1.5 mm to 80 mm. Supplied in solid carbide, brazed carbide or hardened steel. We are one of the leading manufacturers and suppliers of Valve Guide Bushes. 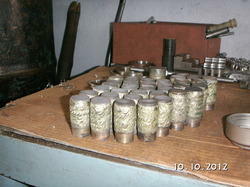 The offered valve guide bushes are uniquely fabricated for liquid flow regulating valves. Our supplied valve guide bushes are highly liked by both the commercial and domestic clients. The offered valve guide bushes are easy to install and fix. Our supplied valve guide bushes are available at very affordable market price. We are one of the widely acclaimed manufacturers and suppliers of Guide Bushes. The offered guide bushes are specially fabricated from cobalt-chromium alloy for ensuring longer serviceability and flawlessness. Our supplied guide bushes are available in multiple dimensions for catering to the custom requirements of the clients. we would like to introduce ourself as valve internal parts for control valves like guide bush with or without stellite 6 overlay welding in all special type materials like Inconel 625/825,Monel 400/500,SS 316/304 etc., as per customer drawings and requirements. Looking for Guide Bushes ?